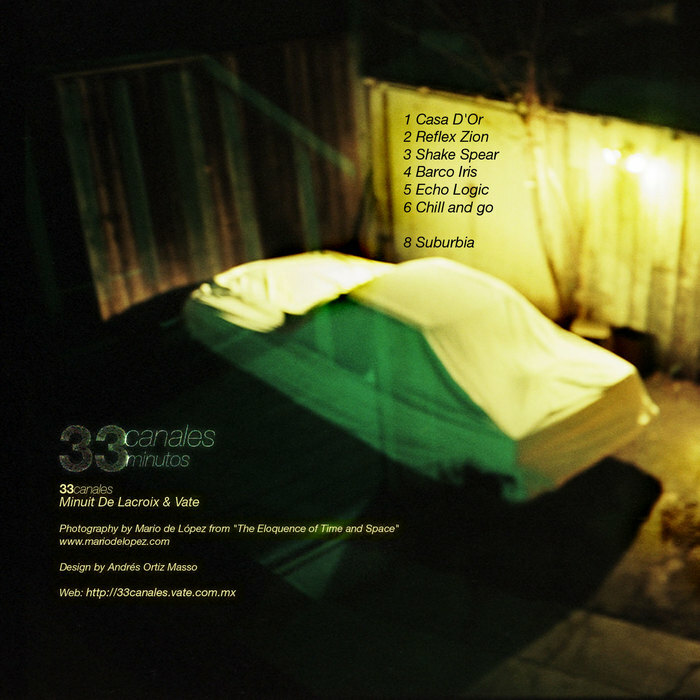 33minutos combines live and studio sessions from 33Canales into a journey that explores various genres such as downtempo, electro and ambient. The album starts with a gentle bass and treble pulse followed by a warm nu-jazz and drum n’ bass massage with a disturbing and low hypnotic drum. A practical listening advice: hear it with your eyes closed. -Mick Chillage of The Chillage Idiots -XFM, Dublin Ireland.